Nothing can overshadow the joy of listening to someone who has survived decades of life. Too many times we hear of famed singers, actors, sports stars who have reached the age of 19 and feel compelled to write their memoirs. How could someone barely in their 20s have anything as significant to say about their life as someone who has lived 8 or 9 decades. Johnny called all his children, most lived near him, to meet my mother and me for the evening. All but 2 (twins) of his 7 children were there to greet us. They were as thrilled to see us as we were to put the past in the present. “I loved your parents,” Johnny exclaimed to my mother who had lost both her parents 20 + years earlier. I remember hearing the stories of the adventures with Johnny during my childhood. My grandfather would sit on the front porch at night — sometimes during a thunderstorm — and look across to the mountains in the distance that separated PA from NY. “My hunting buddy, Johnny lives in NY,” grandpa informed me. My grandfather introduced me to shooting a “22”. I shot paper targets of crows, metal cans or ceramic pots placed on a brick wall. Grandpa raised 3 girls in the 1930s and 40s, so he didn’t have any trouble letting his granddaughter experience some of his same joys. We went fishing on a lake, but I mostly loved observing all his woodworking tools in the unfinished basement. So here I am sitting in the living room with one of my grandparents favorite friends and Corning co-workers. Johnny lived in Corning most of his life. My grandparents traveled the 30 – 40 minute drive into NY to work at one of the finest glassmakers. My mother remembered staying with her older sister, Barb at Johnny’s home when she was a child. Johnny even discovered photos of my mother with my sister (age 1). The evening was wonderful. 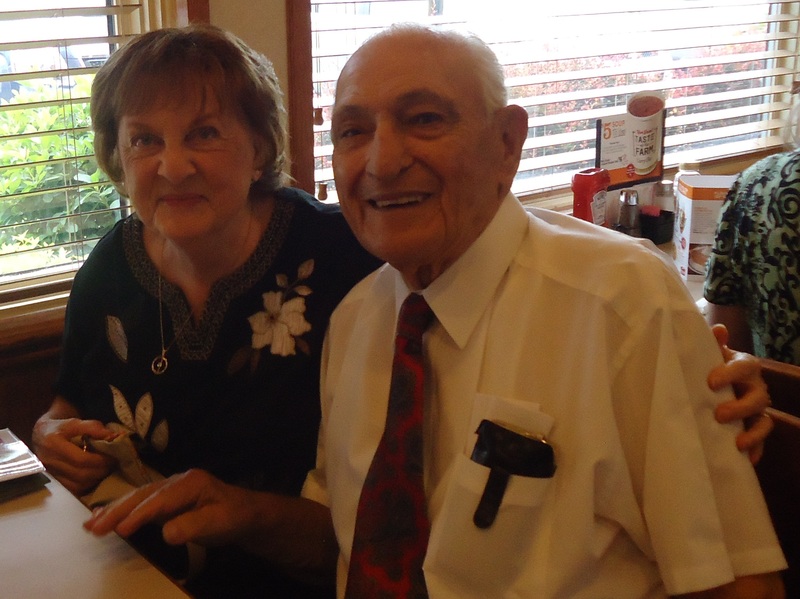 We agreed to meet the next morning for breakfast and then went back to Johnny’s home for a few more hours of history. I was in my element — listening to the great stories of family trials and tribulations — and sitting in awe of a man who had so much fine quality character to be able to have faced diversity in his life and treasure the time he still has with remaining family and friends. 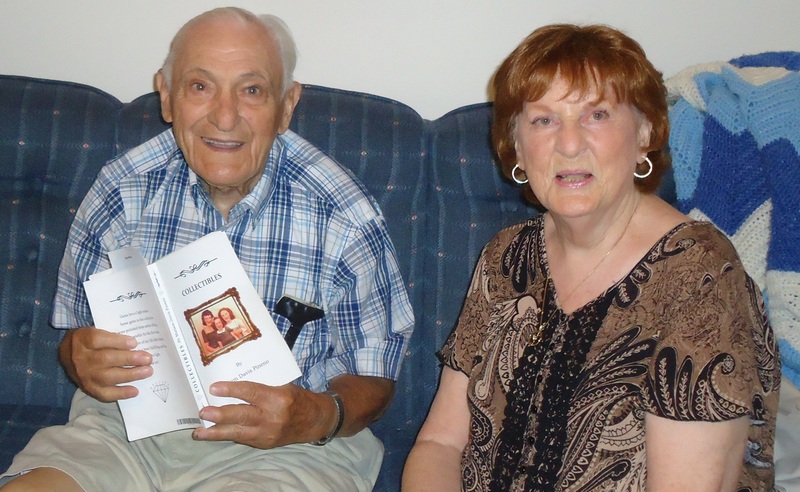 Johnny is already planning his 100th birthday party,”God willing” he notes, with the aide of all his children. We’re invited. I have the date on the calender. Considering Johnny has siblings /aunts who are age 105 — let’s consider this party a sure thing. I already speak the universal language – MUSIC. I speak fluent English. I studied French 35 years ago (remember un peu). Now I’m ready for Spanish. I’ve spent a couple months listening to CDs. I enjoy auditory learning 2nd best to hands-on training. I just signed up for a new online program. The concept of learning auditory, visually and by pressing buttons on my keyboard was appealing. AND there are supposed to be lessons with songs and movies. I’ve never been motivated by learning for grades nor for being paid to do the work I love. Doing the best job possible and leaving a lasting result for humanity has always been my motivation. I’m an intrinsic learner. 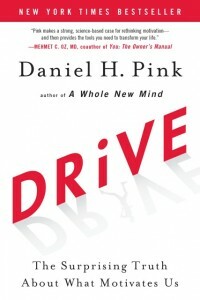 Surprisingly, grades and other external motivators, can de-motivate us says Daniel Pink. 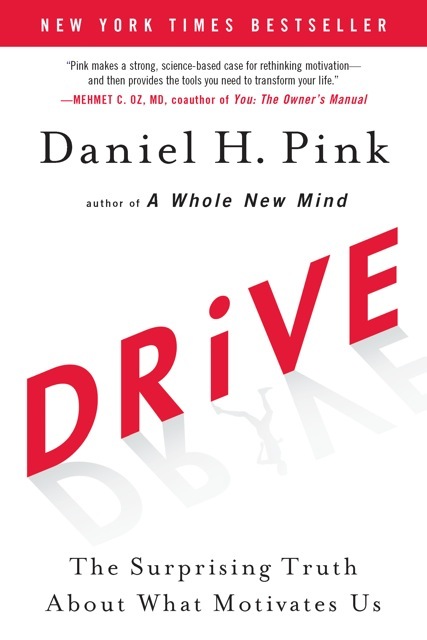 If you have ever found yourself less motivated to learn Spanish, French or your favorite language than you wish you were, then you should read Drive. According to Daniel Pink, and a lot of careful scientific research that he cites, adding expected external motivators like money or grades often has the unexpected effect of reducing motivation. Small children who like to draw, will spend less time drawing if you start giving them certificates for drawing. Getting around on social media can be a challenge when there is a new set of terminology to continually learn. Let’s FACEbook it, there’s barely a TWEET out there that doesn’t lead you to another place in cyberspace. You’ll be lost for hours in the endless search for information that bombards us each day. It comes at us fast. Better be ready to catch it in a mental net and hope it stays still so you can absorb the new processes, gadgets, techno jargon before it flits away. Are there still people who watch TV daily? I haven’t seen a TV show for months — don’t miss it. An occasional movie is fine. I won’t even get bored in the ever spinning world of knowledge. Tweets are short and sweet — a treat in a day cluttered with interruptions of lengthy discourse. That must be why texting is great way to communicate. Get to the point in a few words — then move on. If you can’t say what you need to say in a couple sentences, then you probably are over analyzing the situation. Better yet, we could call someone for information thus spend less time on the computer reading about their life. Just call and ask if you want to know something or need to know their “status”. Time to log off and go talk to humans again. Life is a chapter book series. Sometimes it rests on a table, stories included, pictures added, a momento is glued. Or the book is an old classic, read some time in the past then shelved for posterity. My life’s chapter book series is still being written though I’m hoping to end the current book. I want to put this book up on a shelf so that I can move on to a NEW chapter book. I’ve tried putting this one on the shelf a few times, but it keeps falling off, opening to chapters that I had forgotten about and many chapters that I don’t care to remember. I need to write the concluding chapter to the current. So far, there have been too many obstacles. Stay tuned for future posts. May 2011, I adopted an orange tabby cat from the Humane Society. My new tabby was chosen for his circumstance, name (eventually changed), color and researched disposition. I needed a new companion that wouldn’t “bark at me” morning, afternoon, night! Or pounce me . . . and hurt me. When I brought my new companion home in a cardboard box, I already had his safe place chosen. There were lots of boxes to explore, things to jump on, but more importantly, there were places he could hide and feel safe. My new furry friend was gaining freedom. He needed to learn to trust again. We had allot in common. I had been trying to find respite out of town from the DV spouse. Upon returning, my employee noticed two weeks in a row, that the cat had relieved himself week #1 carpet, week #2 the couch. “Someone” closed the basement door. We quickly put 2+2 together to realize that he was purposely kept from using the litter box. Of course, I left it open for him to access his food, drink, and litter box. Always receiving concern and compassion from patrons at work, one lesson night I mentioned to a 15 year old student that my cat had been denied access to his litter box. In a split second, he remarked “that’s animal cruelty!” . I agreed, but mentioned that my elderly mother had been locked out of the household bathroom for months, and — NO ONE — seemed to question that action. Concern for a cat overshadowed the bizarre treatment of an 82 year old woman. The emotional, mental, financial and physical abuse I endured for years — severely in the last two years — was minimized, overlooked. Even all the provable and documented offenses have been dismissed by legal counsel — some of which were perpetrated by the neighboring, vindictive defendant’s counsel. I was able to evacuate my home physically unharmed, cat in bag, employee got in his father’s car. But such extreme dichotomy of response is incomprehensible. When I made my final evacuation, I removed the brass headstone that marked the burial plot for my beloved buddy Leo, artist model. I can anticipate many years with my new companion, Carmel, the comfort cat. They may be man’s “best friend” but I see plenty of women in the public parks, on a regular basis — not with their children or grandchildren — but with their DOGS. I can’t say that the dog park replaced the ball park, but their does seem to be some kind of correlation. Civility is BEGinning to wain to the canine. I have witnessed, first hand, the protection that animals are even given in more prominence than people. More about that in the next post . . .